A werewolf with allergies, a vampire with no fangs, a chatterbox ghost and a hyperactive zombie. Achoo, Mina, Boo and Zoe – four school friends failing at being who they are supposed to be, are brought closer together by an errant Rounders ball. The Wall is a place that marks the border between their world and the world of … who knows? 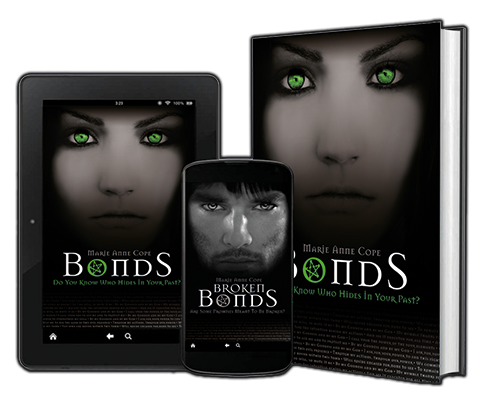 When the Rounders ball is hit over The Wall, Boo challenges the scare stories that Achoo, Mina and Zoe have been told, enticing them to seek out a forbidden place that ultimately changes their lives forever. He likes playing video games, chatting with his friends, Matchbox cars, comic books and his assortment of beanbags, which allow him to do what he loves most of all…sleep! Achoo has allergies which affect his control over his inner self. If he sneezes he wolfs out. Multiple sneezes are exhausting and cause him to fall asleep…..surprisingly! He sleeps a lot. If he sits still too long, he falls asleep. If he stands still too long, he falls asleep. Basically, if he’s still, he falls asleep! She love bright colours, flowers, butterflies and the feel of the sun warming her cheeks. Her favourite colour is pink and she likes to wear a flower in her hair, behind her ear. Mina prefers salads to red meat and refuses point blank to drink human blood. Her favourite past time is drinking juice through a straw placed in the gap where her fangs should be; it annoys her mother. He hails from the time and town of Jack the Ripper and his outfits are a constant source of amusement, as is his accent. Boo is a simple soul. He likes nothing more than to sit down for a good old chinwag or take centre stage to spin a good yarn; it all depends on his audience. He has a very short attention span which gets him into all sorts of predicaments, especially when he’s supposed to be walking through things! She likes speed, whether it be whizzing around on her roller blades, her scooter or her skateboard, she doesn’t mind, though her roller blades are her favourite. The problem she has is that no one else in her family likes to move very fast and so accidents are a frequent occurrence. Along with her “wheels”, Zoe always carries a roll of duct tape in her back-pack, to tape back in place those pesky body parts that tend to fall off at speed! This is a delightful read. It is underpinned by clever writing and excellent characterisation. I defy any child not to want to know what happens next. Oh what a joy this book is to read. I read it in one sitting because I couldn’t put it down. This is a great book to boost the confidence of children. M A Cope has given children a lovely book that whizzes four friends from zero to hero in sixty-two pages. An excellent book and ideal for the young reader. Great story. Loved it! This book has some really important messages for younger readers – it’s ok to be different. You don’t have to ‘fit in’ to be happy. This is a fantastic book. It introduces a wonderful cast of characters, each one intriguing & engaging.